I slept so well last night. The first night I slept really deep. I woke up at 8 because I was hungry. So I got up and made some oatmeal and coffee. Start was at 2pm. It was a quite long drive to the start and almost all my teammates felt bad after driving the windy roads. Today the race started with attacks. I tried to be alert and follow a few attacks. Unfortunately I missed the break away that finally went. The peloton was so slow, but there was nothing I could do. In the last climb there was an attack from Emma Pooley. I noticed it a bit too late and could not catch her and the other girls who went with her. 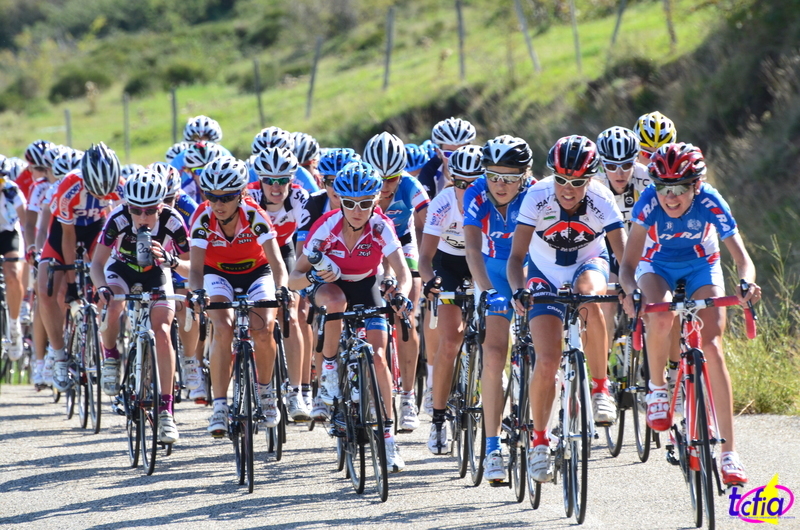 I was riding with 3 other girls in pursuit and in the last long downhill we caught the group in front of us and a few kilometers later we had caught the group that went early in the race. Evelyn Stevens from HTC Highroad was strong today and won with about 4 minutes. I was seventh. Still 12th in the GC. Tomorrow will be another stage with some climbs to do. Will be exciting. Hope I will have good legs fort he last 2 days.